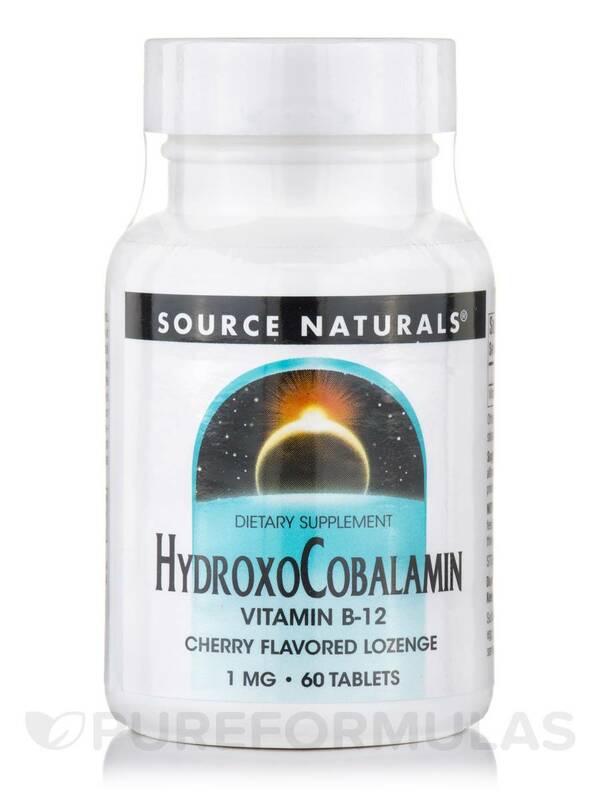 Source Naturals Hydroxocabalamin B-12 supports brain health and energy levels with a meaningful dose of B-12 in a convenient lozenge form. 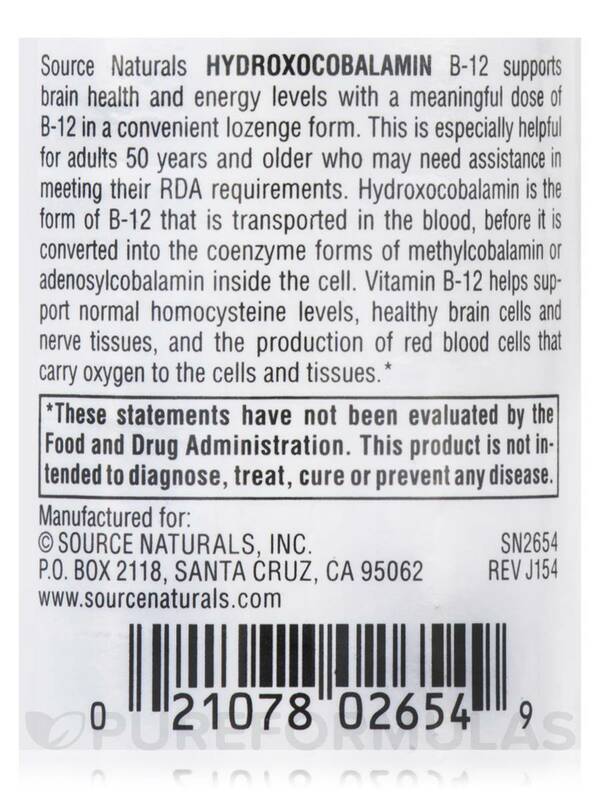 This is especially helpful for adults 50 years and older who may need assistance in meeting their RDA requirements. 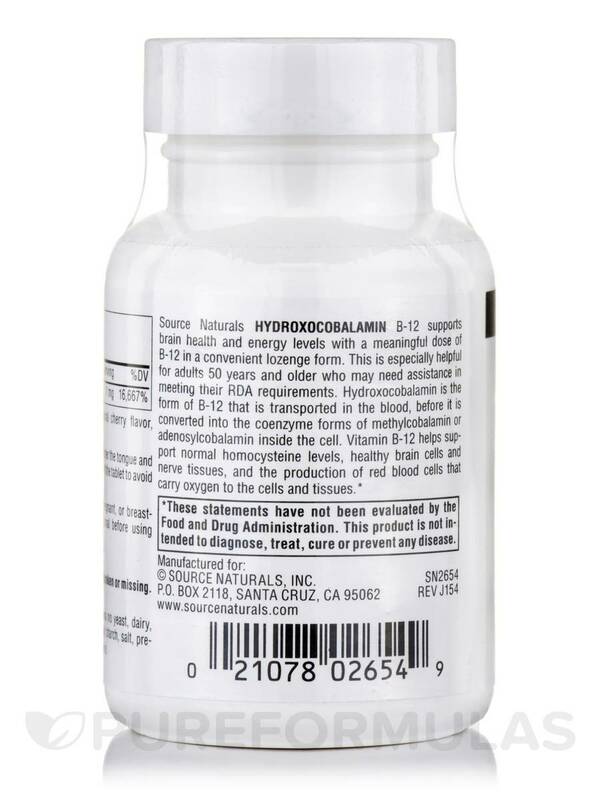 Hydroxocobalamin is the form of B-12 that is transported in the blood‚ before it is converted into the coenzyme forms of methylcobalamin or adenosylcobalamin inside the cell. 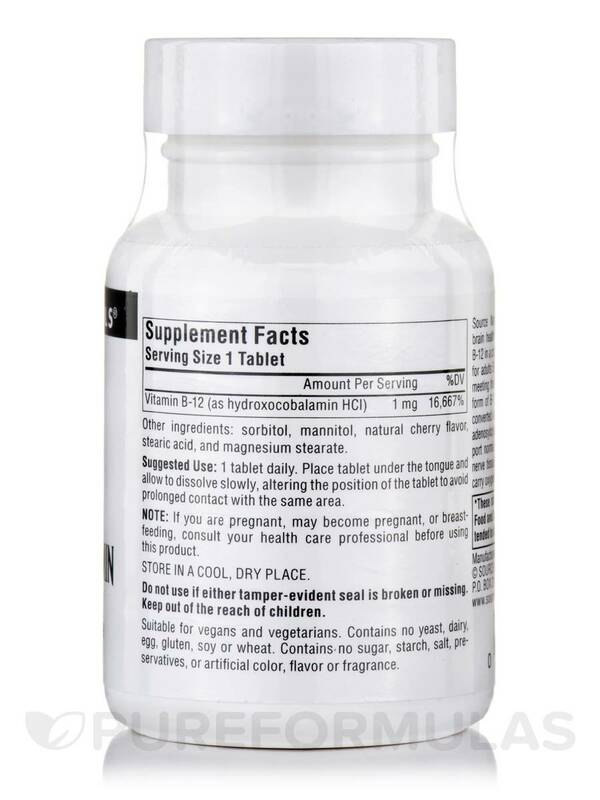 Vitamin B-12 helps support normal homocysteine levels‚ healthy brain cells and nerve tissues‚ and the production of red blood cells that carry oxygen to the cells and tissues. 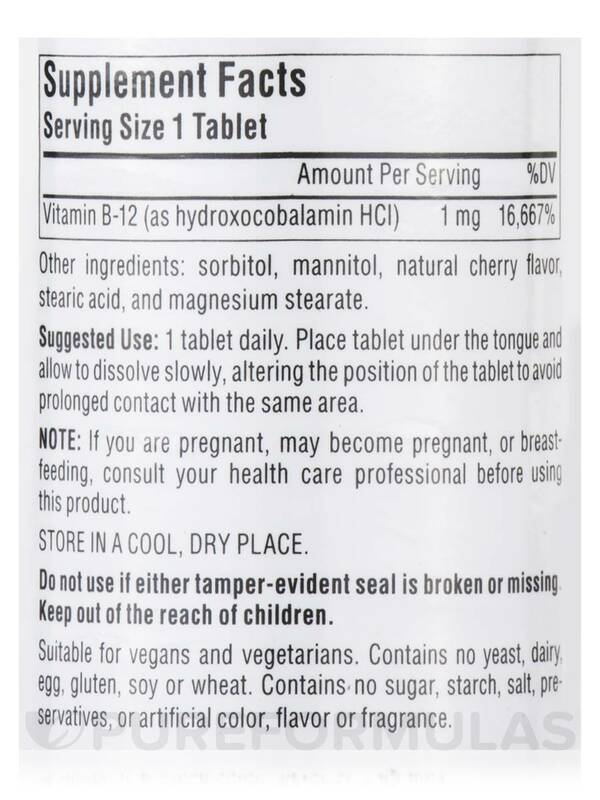 Contains no yeast‚ dairy‚ egg‚ gluten‚ soy‚ wheat‚ sugar‚ starch‚ salt‚ preservatives‚ artificial colors‚ flavors or fragrance.